Getting fit is not easy. Many people have embarked on a fitness journey, with goals and aspirations of becoming a fitter, healthier version of themselves, only to find they simply cannot get there. If this is you, don't give up just yet! Even though getting fit is challenging, there are things you can do to address and ultimately overcome these challenges. There is a very close relationship between food and physical fitness. If you are not receiving the right vitamins and minerals through your diet you will be low in energy, making it difficult to motivate yourself to exercise. Additionally, making sure you receive the correct nutrients means that your muscles can effectively recover and rebuild the following exercise. In particular, protein is extremely important for building muscle. Even if you are not looking to bulk up by building large amounts of muscle mass, building stronger, more toned muscles is essential for getting fit, and for this, you need to make sure you are eating enough lean protein. Experts recommend we eat around 0.8 grams of protein for every kilo of our body weight, or more if we are exercising. This works out to 56 grams or more per day for men, and 46 grams for women. Eat plenty of lean protein through chicken, fish, meat, eggs, dairy, legumes and nuts. Also, make sure you are getting the other nutrients you need through eating plenty of fresh fruit and vegetables as well as whole grains. Another factor which could be preventing you from reaching your fitness goals is your hormones. 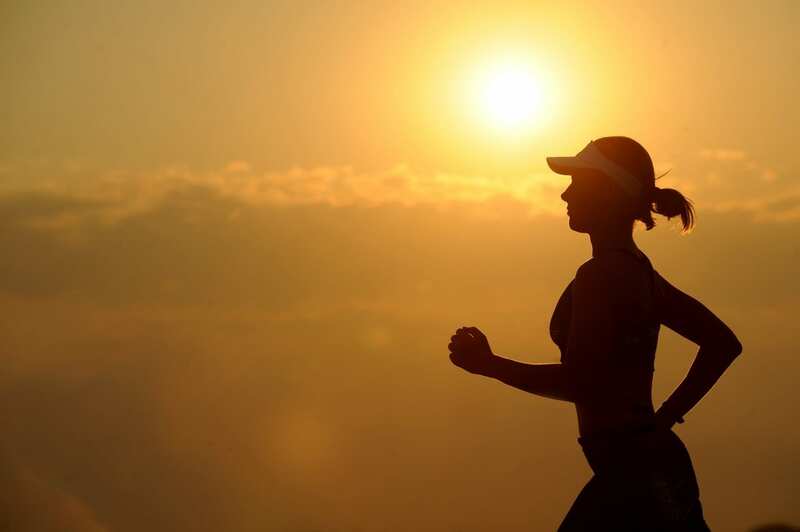 Hormones are chemicals we produce in our body which control and regulate many of our body's processes, so having too high or too low levels of one or more hormones can make it difficult to find the energy to exercise, or greatly prolong recovery time after exercising. Both of these can make establishing a fitness routine challenging. Hormone imbalance can be caused by a range of factors. These range from medical conditions which affect the glands in the endocrine system, to life changes such as puberty, pregnancy, and menopause. Lifestyle factors such as stress, diet and (ironically) exercise can also contribute to irregular hormone levels. Try a service like verisana.com to test your hormone levels and see if you need to visit your doctor in order to correct an imbalance. These kinds of services offered at testing kits, usually involving a simple saliva test which you can do at home and then send off for the results. One reason people struggle to stick to their fitness routines and meet their goals is that they quite simply get bored! Doing the same kind of exercise over and over can get tedious, leading to loss of motivation. Doing the same workout at the same level which was initially challenging will cease to be challenging after a while, meaning you are not pushing yourself. This, in turn, means your fitness level will plateau after a certain point. Keep things interesting by varying the type of exercise you do: try new things like going for a hike, or taking a class. Involving friends or colleagues to make exercise a social activity can also help. Doing new activities will also help to push your workouts further in order to keep progressing your fitness levels, but you may also need to consider stepping things up and deliberately increasing intensity. Money isn't necessary for fitness, but it certainly doesn't hurt. Personal trainers, gym membership, exercise equipment, and even exercise clothing and shoes all add up. On the other hand, there are many ways that you can exercise and be active which are low cost or free: walking, running and hiking outside, for example, as well as swimming at your local community pool. And don't forget there are a wealth of resources online, many of them free, such as exercise videos and fitness guides. Likewise, not having enough time to work out can be a common barrier to fitness. A proper fitness routine does require putting aside certain hours of the week, which is something you need to consider. If you believe you can "find" this time without sacrificing something else you are probably setting yourself up for failure. Look at your daily or weekly schedule and decide what you can cut out in order to spend time exercising: you can probably easily cut down on TV watching, browsing social media, or spending time at the pub! That Was Are You Struggling To Get Fit? These Factors May Be To Blame, Hopefully it's useful and you like it.